This is the most flexible bag holder available. 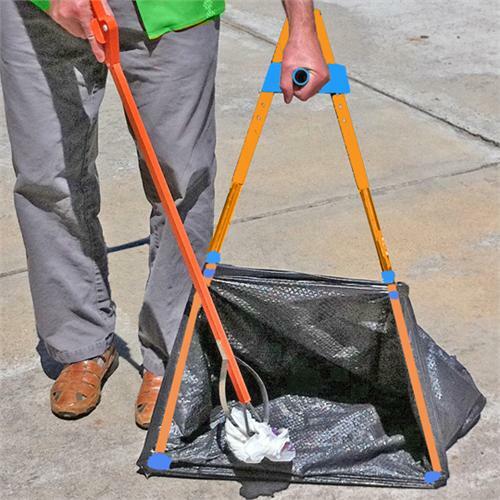 Faster to load because litter is not lifted up in the air -- just toss it into the bag opening close to the ground. 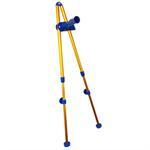 Less hand fatigue with the strong handle, configured for a natual gripping angle. 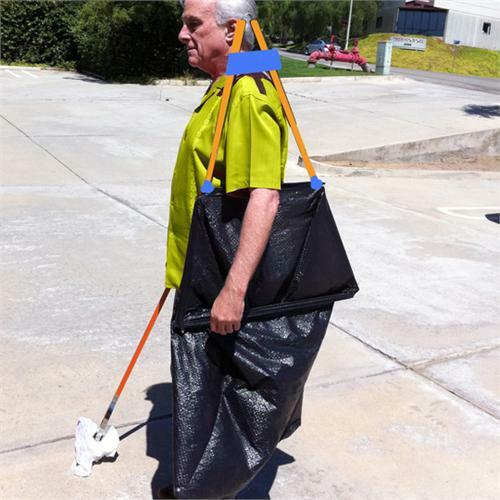 BagHolder legs are fully adjustable telescope to fit user heighjt as well as size of bag. Legs telescope to user preference and height. 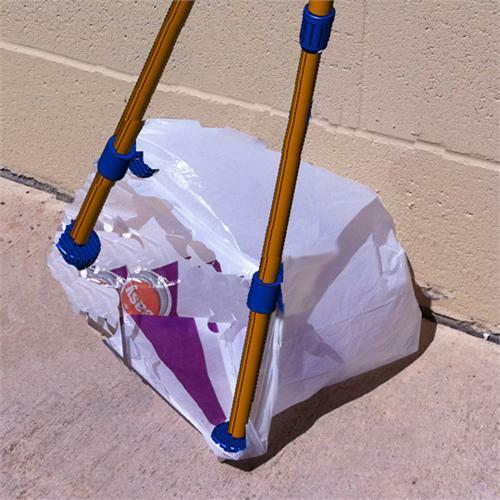 Two locking feet and two sliding tension knobs keep bag secure. Most heavy duty bags can be dragged along the ground for quite a distance before rips and holes occur. 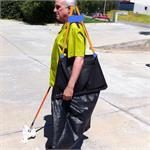 This saves muscle strain and makes litter collection much easier. This is a first generation model offered without warranty.